Paul Tyson/St. Helena AirportSt. Helena Airport. 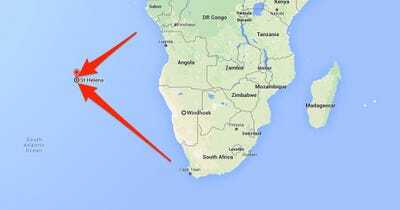 St. Helena is a small remote island in the South Atlantic. Located 1,200 miles west of the African mainland, the island is most famous for being Napoleon Bonaparte’s place of exile. Until recently, St. Helena, a British overseas territory with a population of about 4,000 people, was accessible only by taking a cruise on board the mail/passenger ship RMS St. Helena. 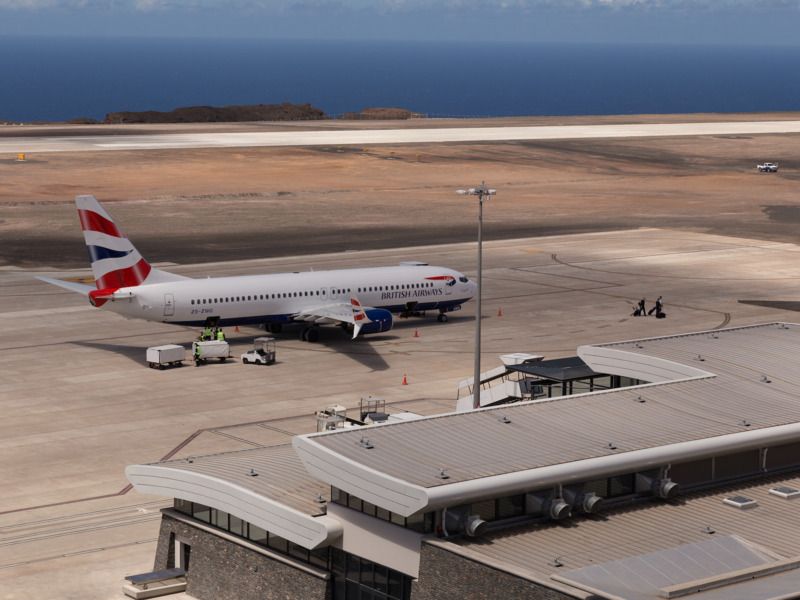 To make it more access able to the public, the UK government spent more than $400 million to construct a brand new airport on the island, the BBC reported. Although the airport was scheduled to open for commercial operation in May, the BBC reported that commercial operation at St. Helena Airport has be postponed indefinitely. This is because validation flights into the airport using a Boeing 737-800 found wind shear to be too extreme for large airliners to operate. 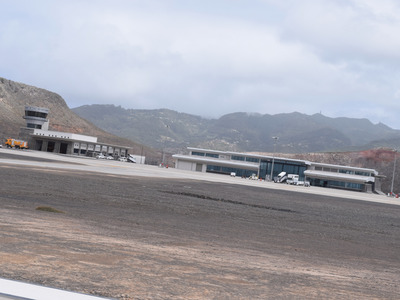 However, St. Helena Governor Lisa Philips has refuted media reports that the island’s airport and its 6,400-foot runway has been shut down even before it enters service. 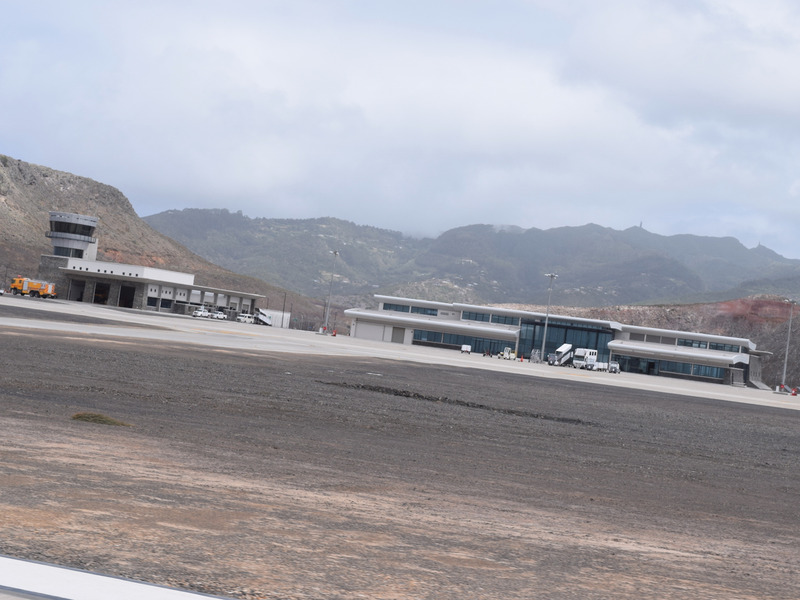 “Press reports in the UK and elsewhere that describe St Helena Airport as being ‘scrapped’, ‘mothballed’ or ‘postponed indefinitely’ are incorrect,” Governor Philips said in a statement. According to Governor Philips, wind shear is too extreme for large airliners such as the Boeing 737-800 to land safely at the airport when approaching from the north. However, the Governor believes select types of airliners will be able land at the airport if it approaches from the south. But even then conditions are not ideal because there is a tail wind. Pilots prefer to take off and land into the wind. Although the St. Helena government is trying to establish air service to the new airport, the only consist means getting to the island remains the trusty old mail ship — RMS St. Helena.